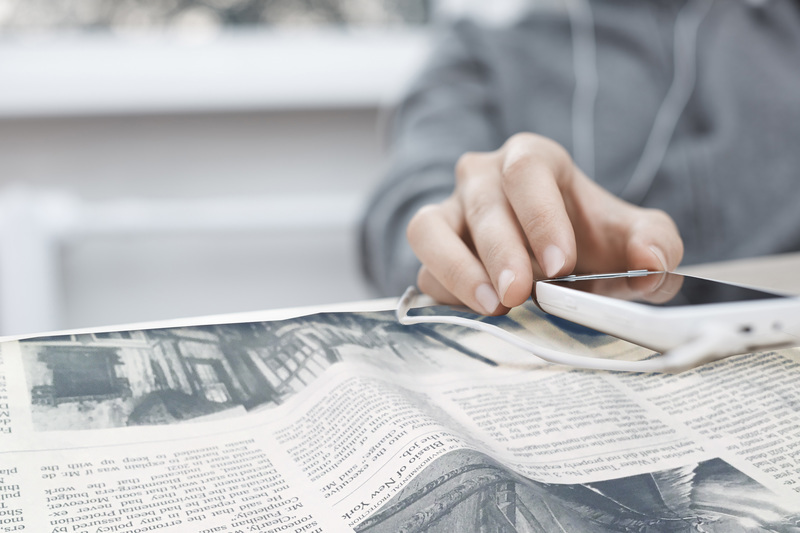 NFB-NEWSLINE® provides free access to hundreds of newspapers via the telephone and online to the blind and those with disabilities that make it difficult to read print. Readers can access more than 300 publications, including up-to-date newspapers, magazines, Spanish language publications, local TV listings and information of specific interest to the blind. Subscribers can download their favorite publications onto a digital talking-book player or other MP3-playing device, read text-only versions of the publication online, or access articles on an iPhone with the NFB-NEWSLINE® app for iOS. The Newsline @ School & Work program teaches children K-12 and young adults how to use NFB-NEWSLINE® effectively in their daily lives. It also introduces them to new assistive technology, nonvisual techniques and competent blind role models. Weekend-long regional events are scheduled throughout the state, and Newsline @ School & Work activities also occur during our annual State Convention and Youth Conference. Watch our calendar of events for information about program schedules. Financial assistance is provided for accepted applicants. Every year, NFB-NEWSLINE® Texas hosts a series of open houses to teach blind children, adults and professionals in the field about our innovative audio newspaper program. Open houses usually last from two to four hours, and allow potential users to sign up and learn how the free program works. Six open houses are scheduled each year across Texas. Federation leaders are on hand to provide information about the organization and its other activities. Watch our calendar of events to find an open house near you. To be eligible for NFB-NEWSLINE®, you must be legally blind or have a physical or a learning disability that prevents you from reading the paper independently. Your eligibility is not dependent on, or restricted to affiliation with any particular consumer or support organization. If you are signed up for the National Library Service for the Blind and Physically Handicapped, you already qualify for NFB-NEWSLINE®. To learn more about the audio newspaper service and to sign up, please contact Liz Wisecarver by phone at 281-968-7634 or by e-mail at lwisecarver@nfbtx.org. You will notice that many areas still do not have local numbers. If you live in one of these areas, continue to use the (888) 882-1629 number. Even if you seem to live in an area that is covered, check your bill as there can be long distance charges in metropolitan locations even if one is in the same area code. If your being charged, switch back to the toll-free number right away. In any case, NFB-NEWSLINE® cannot be responsible for any long distance charges.